The Alesis Q49 is a 49-note, MIDI keyboard controller that is velocity-sensitive with USB and traditional MIDI ports. 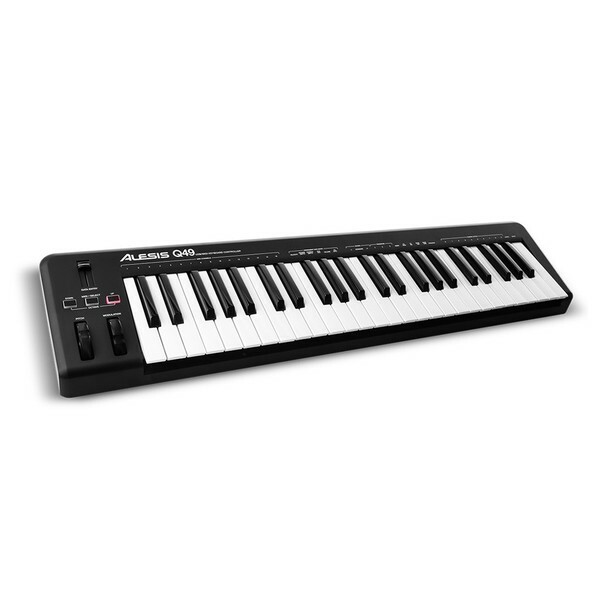 The Alesis Q49 features pitch and modulation wheels, a sustain pedal input, backlit octave up and down buttons, which prove their weight in gold in a live or dim lit environment and a volume/data entry slider. 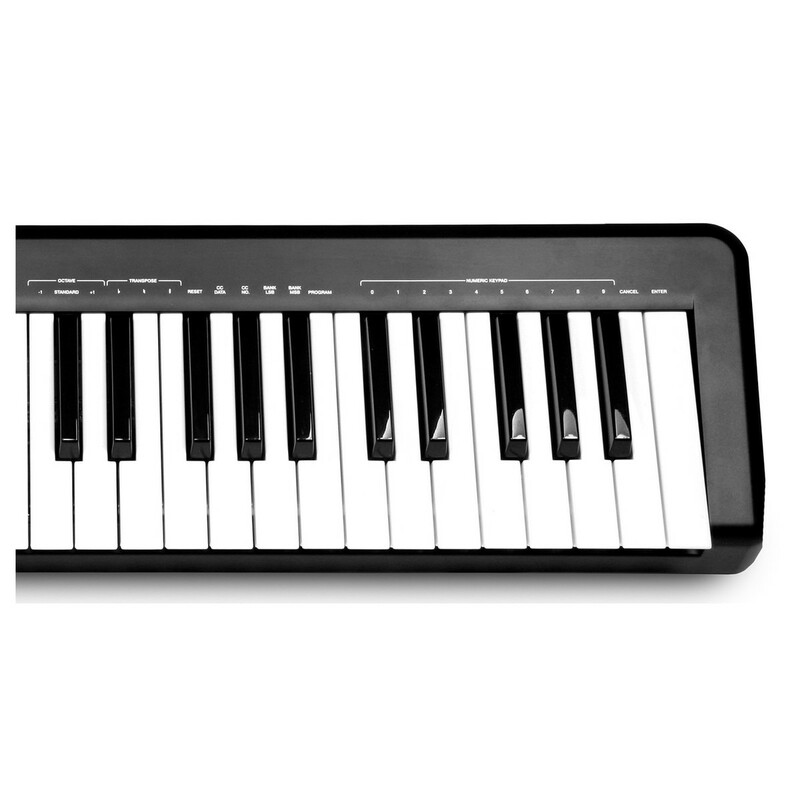 The versatile functionality of this MIDI keyboard means that you can add expression, range, and dynamics to your performances quickly and effortlessly. 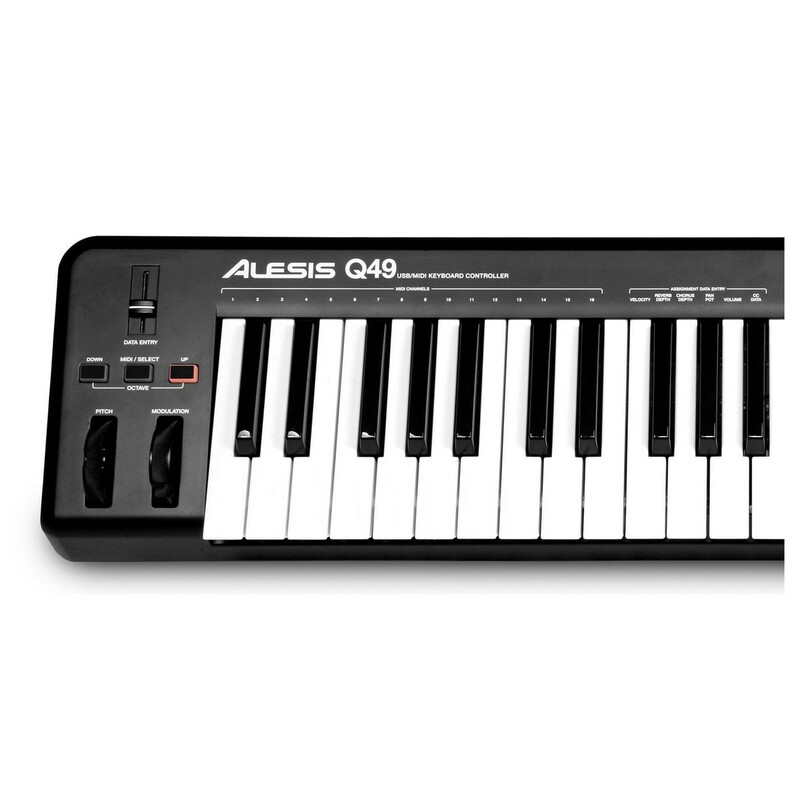 The Alesis Q49 lends itself to all musicians, producers and composers alike. 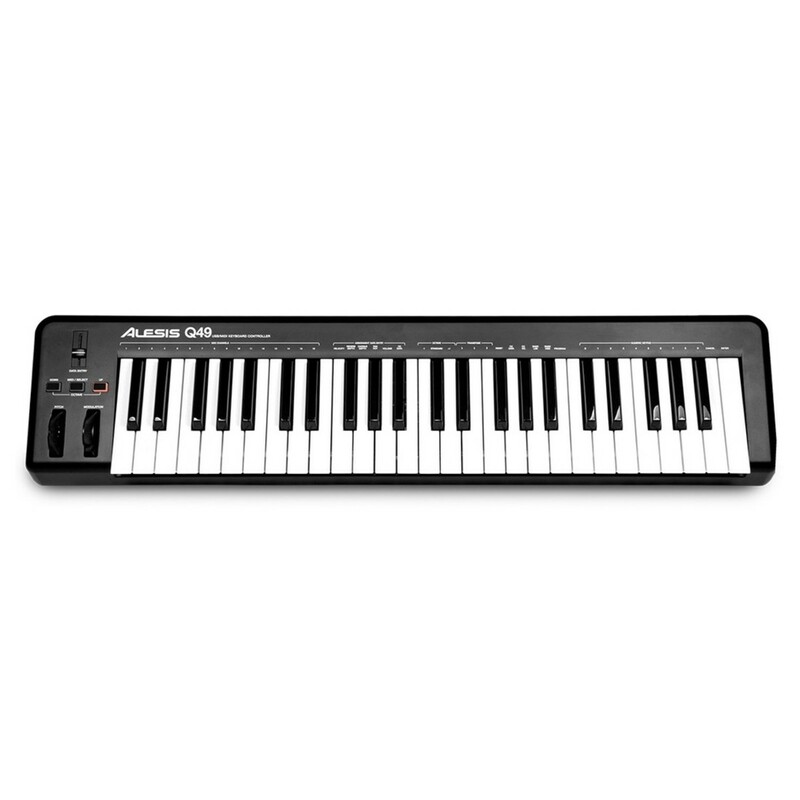 The Alesis Q49 features traditional MIDI as well as the now standard, USB MIDI option, allowing it to work with virtually, any and all computer software, covering PC and MAC, as well as any MIDI hardware you may use.. The Q49 also provides keyboard players with an array of controls, including pitch and modulation wheels, octave up/down buttons, an assignable data slider and the ability to send program changes from the keys, not to mention the addition of an all-important sustain pedal input. Just connect the Q49 to your computer with the included USB cable and you can start making music almost immediately. When connected, the Alesis Q49 is powered by the USB cable supplied, which also transfers the data transmitted from the controller, and you won't even need to install drivers to make the Q49 work. The Q49 is class-compliant, which allows you to skip the programming and start playing. The Q49 comes with a copy of Ableton Live Lite software, for performing, recording, and sequencing music right out of the box. Its compact size and portability make the Q49 ideal for fitting into current setups at home and out on the road. Place it a tier above an existing workstation keyboard and utilise Q49's streamlined layout to maximize your sound and performance options. You can even send Program Changes from the Q49's keys to change programs, patches, and more.